Overview… one of the most respected captains in the Soviet Navy in the 1980s. 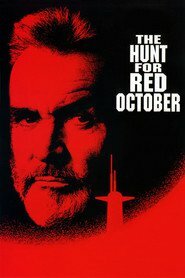 Ramius commands the Red October, a high-tech sub that is nearly undetectable to passive sonar. Having recently buried his wife, Ramius has drawn into himself a bit lately. He’s become a mystery to those around him, even his crew and fellow officers, who can’t seem to understand why he insists on reading about the “end times.” Then upon gaining control of his new sub, he decides to go rogue – using his sub’s innovative capabilities to become invisible not just to the Americans, but to the Soviets as well. To what end, though, isn’t immediately clear. Personality… mysterious, shrewd, and perceptive, but duplicitous when necessary. With his salt-and-pepper beard and distinguished voice, Ramius carries an air of experience and wisdom. His men will follow him into any battle, even though a few of his fellow officers are beginning to suspect some wrongdoing on his part. Marko Ramius's popularity ranking on CharacTour is #2420 out of 5,000+ characters. See our top-ranked characters and read their profiles.